Journalists at a series of South London weeklies are resuming plans for strike action after talks with management broke down. National Union of Journalists members had been planning to walk out for a fortnight from today over publisher Newsquest’s plan to cut up to 11 editorial roles across its South London titles, based in Sutton. The strike was called off on Tuesday evening after both sides agreed to hold talks at the arbitration service ACAS yesterday. 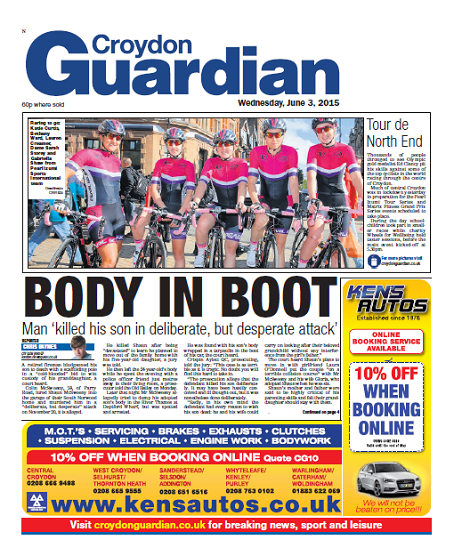 The NUJ claims the Croydon Guardian will have no reporters left by the end of next week due to staff resignations. The strike will now begin next Thursday, 13 October, and will continue until the following Wednesday. By law, the union has to notify the company at least seven days in advance of any action. According to the NUJ, the Wandsworth Guardian now has now reporters owing to resignations while the Croydon Guardian will be left with none in a week’s time. Laura Davison, NUJ national organiser, said: “Newsquest’s behaviour is disingenuous to say the least. Chapel members agreed to suspend industrial action in good faith to meet for meaningful talks at ACAS. “Sadly their scepticism about the company’s willingness to address the real crunch issue of headcount has proved well founded and has only reinforced chapel resolve. “Simply moving the deckchairs on the Titanic is not going to solve the fact that as of next week there will be no reporters on one title and that another has limped along without cover for several weeks. “Local management needs to get real, make the case to the top that these positions need filling and crack on with doing it. An NUJ chapel spokesperson added: “Newsquest has treated us with contempt throughout this process and has dealt with us in bad faith at every turn. “The company is the second largest local newspaper publisher in the UK and it is leading the way on destroying our jobs and quality journalism in London. “Managers at all levels of the company have not taken our concerns about understaffing seriously and, even when they did, begrudgingly, agree to ACAS talks they then refused to talk to us properly and have shown they are not prepared to change their approach at all. A Newsquest spokesman said: “Contrary to the hyperbole coming out of NUJ central office, Newsquest believes passionately in the future of local journalism. We all wish them well and all luck in the world but this action will lead to nothing except lost pay. At least someone is making a stand. Bravo! Dealing with the South London management is like hitting your head against a wall. They are not listening and getting round the table to restate their case was simply a token gesture. Good luck to them, if they are talented they will find a new home I am sure -after all these are free newspapers aren’t they? The Truth – Not even a token gesture, just a cynical, delaying tactic. Good luck to the guys though.